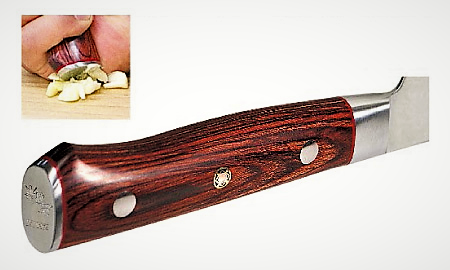 The Petty is a peeling, paring, and carving knife for vegetables, fruits, herbs, and other delicate work. 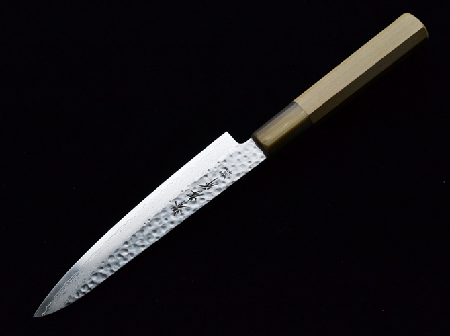 ‟Musashi”is our brand. 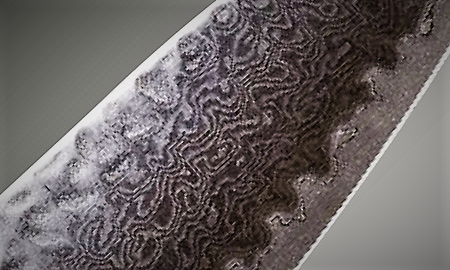 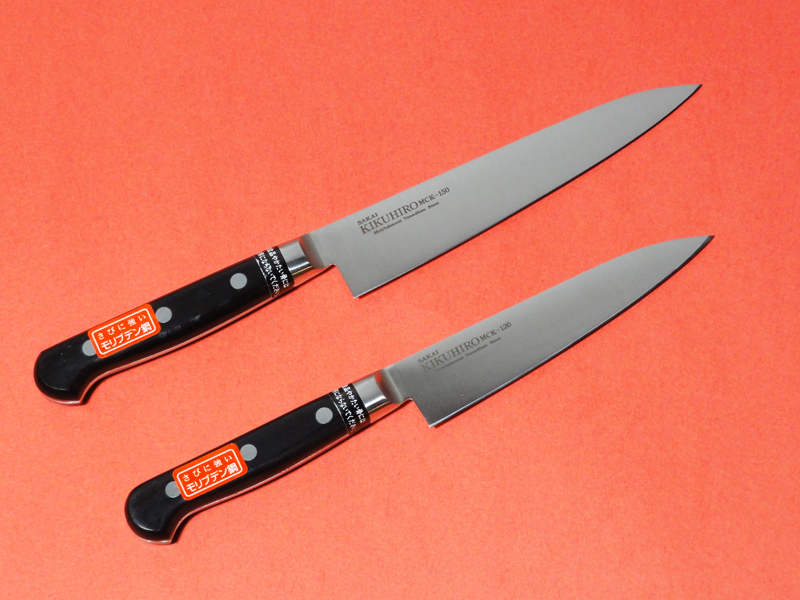 The special-grade SS steel used in making these blades. 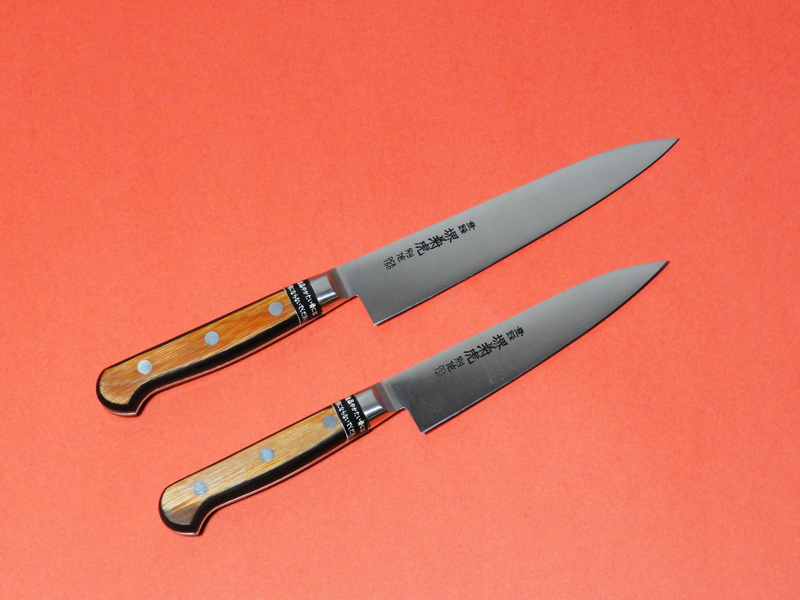 SS and PS steel is high-speed steels were originally developed for metalworking tools.It can withstand higher temperatures without losing its temper. 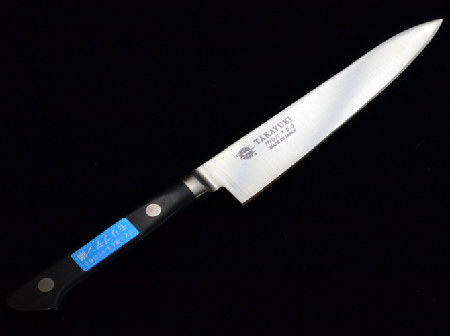 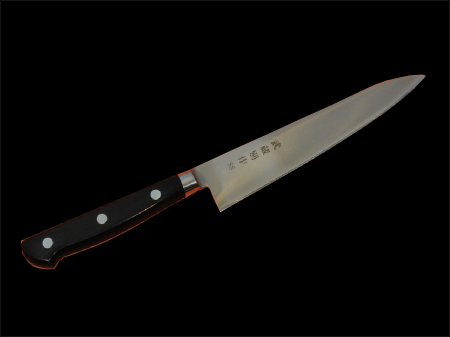 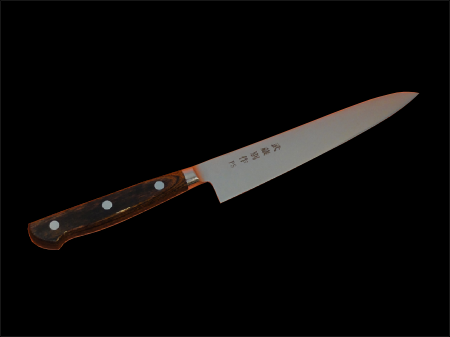 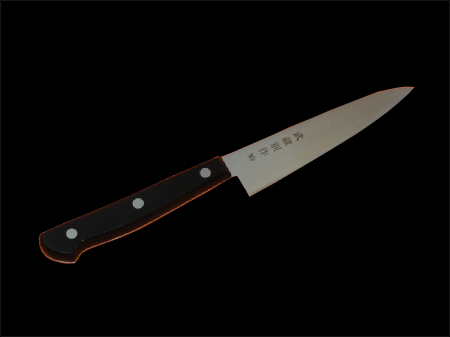 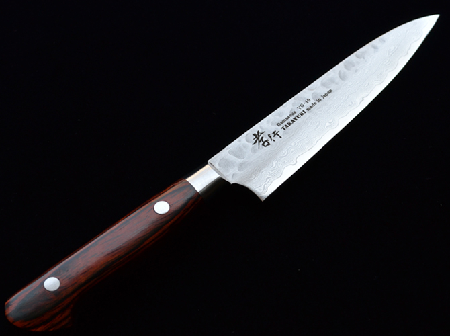 It is a hard steel with a rough grain structure and not suitable for kitchen knives. 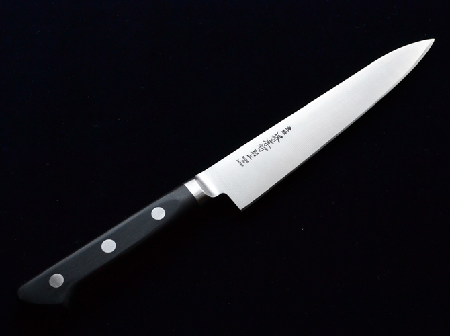 To over come this, powdered high-speed steel (Ps and Ss steel) which is produced by completely different method called powder metallurgy, was developed. Its toughness, high wear resistance, long edge retention and its suitability for knives with finer grain structures. 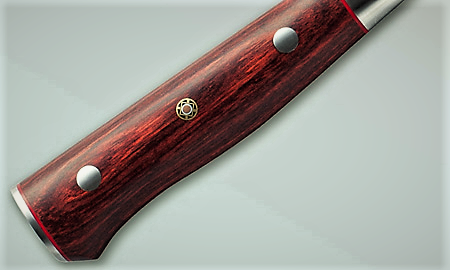 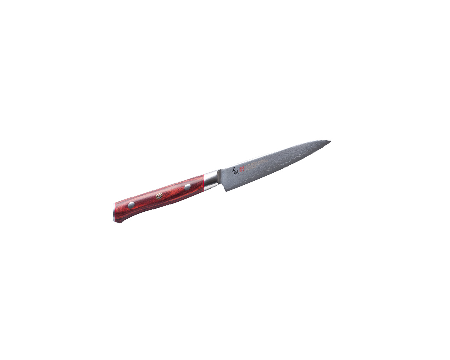 Classic Utility Knife is one of the most frequently used knives in the kitchen, designed for cutting and slicing slightly larger items.